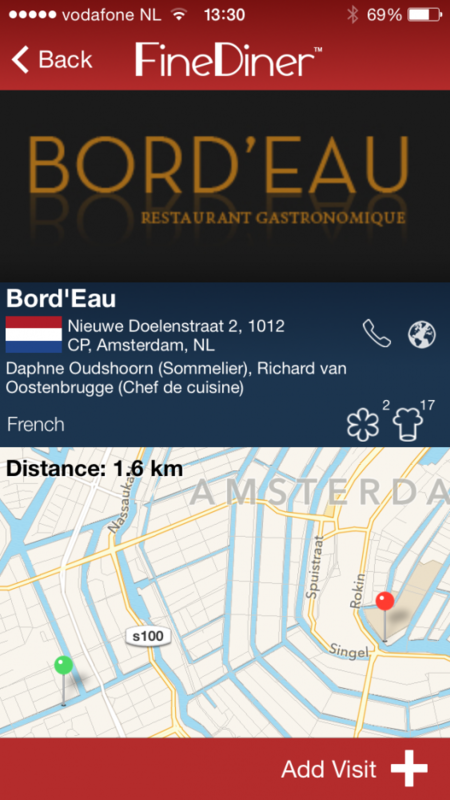 Tap the restaurant entry in the search result to go to its’ Restaurant Details screen. At the bottom right of the Details screen, click “Add Visit”. The visit entry will then be created in your diary and it will automatically open in the Visit screen, so that you can add your personal notes and ratings. If you can’t find your visited restaurant in our online database, scroll down to the bottom of the search results list, where you’ll find a special entry to add a visit manually. Tap it to go directly to the Visit screen, where you’ll be able to enter the restaurant details yourself.